mike April 9, 2019 Fanboying! It’s TTM Tues! And Woo to the hoo! If you love Night Court, hit up John Larroquette! Nantucket Sleigh Ride Mitzi E. Newhouse Theater 150 West 65th Street New York, NY 10023′ LA Law and Sons of Anarchy star Jimmy Smits has been great with fanmail. TTM Tues! 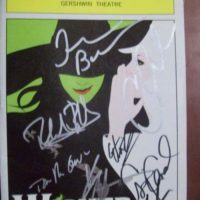 Broadway Signed Playbills! How To Request One! Broadway Update! The Lion King! Wicked! The Book Of Mormon! And More! Travis June 27, 2018 TTM Tuesday! TTM Tues! Successes From The Stars Of Game Of Thrones! Batman! The Shawshank Redemption! Dreamgirls! Baywatch! And More! Troy October 18, 2017 TTM Troy, TTM Tuesday! TTM Er… Wednesday! 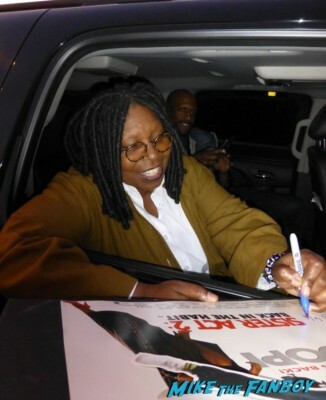 Successes From The Stars Of Sister Act! Pitch Perfect! Best In Show! And More! Troy October 11, 2017 TTM Troy, TTM Tuesday! TTM Tues! Successes From The Stars Of American Horror Story! Police Academy! Doctor Who! Guardians Of The Galaxy! And More! Troy October 4, 2017 TTM Troy, TTM Tuesday! TTM er… Wednesday! Successes From The Stars Of American Gods! Better Call Saul! Star Wars! Spider-Man! King of Queens! And More! Troy September 27, 2017 TTM Troy, TTM Tuesday! TTM Tues! Successes From The Stars Of Home Improvement! Night Court! Galaxy Quest! Police Woman! A Nightmare On Elm Street! and More! Troy September 20, 2017 TTM Troy, TTM Tuesday! Troy September 13, 2017 TTM Troy, TTM Tuesday! TTM Tues! Successes From The Stars Of ID4! Tootsie! Star Trek! Grease! Frasier! Buck Rogers! And More! Troy September 5, 2017 TTM Troy, TTM Tuesday! TTM Tues! Successes From The Stars Of Modern Family! Clue: The Movie! The Walking Dead! WWF! Grown Ups 2! And More! Troy August 30, 2017 TTM Troy, TTM Tuesday!